How to play iTunes M4V movies on Oppo Find X? 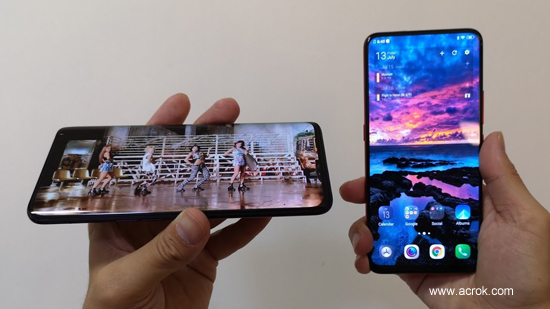 Oppo Find X is one of the best Android smartphones in this year, it is equipped with 6.42 inches screen, and the resolution is 1080 x 2340, which will offer vivid images for you. It uses Snapdragon 845 chipset, which will help you to run apps smoothly. Oppo Find X is a great device to watch iTunes movies in full screen. But just like other Android smartphones, Oppo Find X is not able to play iTunes movies directly due to the iTunes DRM protection, under the DRM protection you can only play iTunes movies and TV shows on authorized devices. But please don’t worry, in this article we will share the best way to play iTunes movies on Oppo Find X. How to get iTunes movies can be played by Oppo Find X? Maybe you are looking for the way to play iTunes M4V movies on Oppo Find X, but you encountered the issue just like it showed above, some users may give up for transferring iTunes movies to Oppo Find X just because of this annoying restriction? Please don’t worry about it, here, we’ll introduce the best solution to play iTunes M4V movies on Oppo Find X and convert iTunes M4V movies to Oppo Find X supported formats smoothly. The main reason that we can’t play iTunes movies on Oppo Find X is that iTunes movies and TV shows are encoded in M4V format with built-in DRM copyright technology, which allows you to watch purchased iTunes videos on Apple ID authorized devices. Besides, if you check Oppo Find X supported video formats, you will find iTunes M4V format is not supported, and the best supported video format is MP4 format. Put it another way, Oppo Find X is not compatible with iTunes M4V video files. Hence, in order to make iTunes M4V movies playable on Oppo Find X, you should use third-party iTunes DRM M4V Converter software to help you to remove DRM protection from iTunes movies, and convert iTunes movies to Oppo Find X supported video formats. Just keep reading, you’ll get iTunes on Android easily. After hard work of software developers, there is a professional iTunes DRM M4V Converter on the market, it is M4VGO M4V Converter. Here, we’ll meet M4VGO M4V Converter for Windows and Mac, one of the most powerful iTunes DRM removal tools. As the all-in-one iTunes video converter, M4VGO can remove DRM protection from both iTunes purchases and rentals, and convert iTunes DRM M4V files to other HD formats, such as MKV, AVI, MOV and Oppo Find X compatible formats. What’s more, it supports batch conversion with 30X faster speed and all tracks and subtitles, including high quality surround audio tracks and closed caption can be preserved. This iTunes to Oppo Find X Video Converter will convert iTunes movies to multiple devices with quality lossless. Step 1. Download M4VGO software, just make sure you download the right version according to your computer type. The tutorial below will show the steps that M4VGO converts iTunes M4V movies on Windows. iTunes to Oppo Find X Video Converter will show you how does it work, it will convert movies from iTunes purchases and rentals. Step 2. Add iTunes DRM M4V movies. After launching the M4VGO software, you will see the sleek and nifty screen of the converter. Please navigate to find the “Add Files” button on the top left corner, you can click it to load iTunes movies that you want to convert. You will see a list iTunes DRM movies like the iTunes purchases or rentals, which are downloaded completely on the iTunes. Step 3. Choose output format for your device. By default, M4VGO iTunes Converter is set to convert videos to “Common Video -> H.264 MP4 Video (*.mp4)”, which is most universal format with best quality, of course, it is supported perfectly by Oppo Find X too. If you want other formats, you can choose the format according to your need. Step 4. Customize the output movie specs. If you just want to have a more personalized video before convert movies from iTunes to Oppo Find X, you can click “Settings” button and customize the bit rate, frame rate, subtitle, audio track, etc. as you want. You might keep the default settings if you don’t need to adjust. Step 5. Convert movies from iTunes to Oppo Find X. Please check to make sure everything is set as you expected, then click the “Convert” button at the lower right corner. M4VGO iTunes to Oppo Find X Converter will get access to your iTunes movies to remove the DRM. 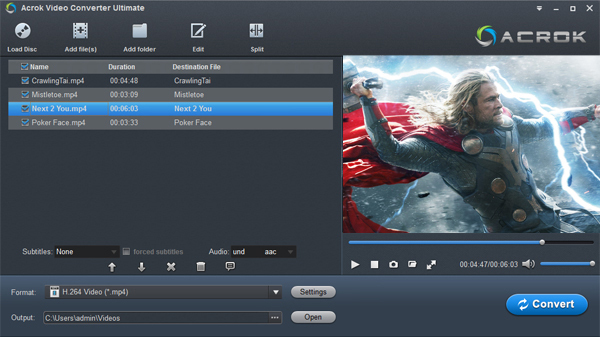 If you select another format, M4VGO software can help you encode the movies simultaneously. M4VGO iTunes converter will convert iTunes M4V to Oppo Find X at fast speed with quality lossless, when the conversion is finished, it is pretty easy to move iTunes movies to Oppo Find X through USB cable, and then you can play iTunes M4V movies on Oppo Find X smoothly.